I’ve always loved anything “greek” when it comes to cuisine. 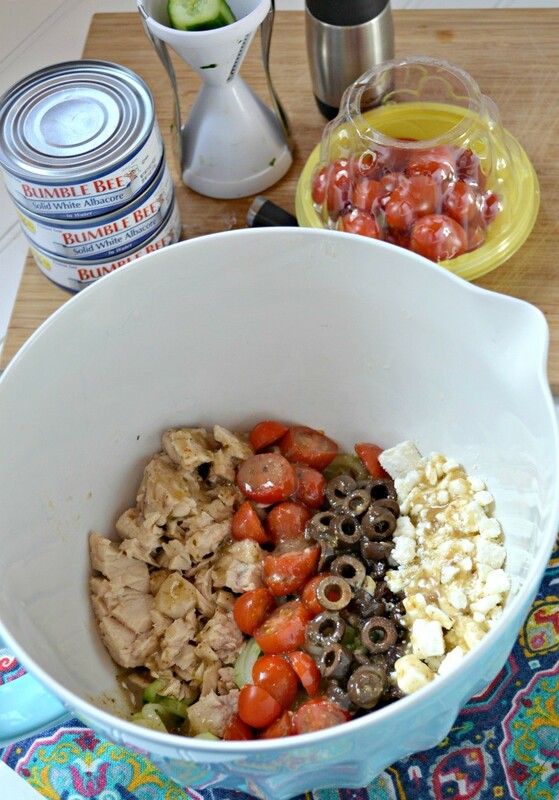 The more feta, olives, and flavor, the better. 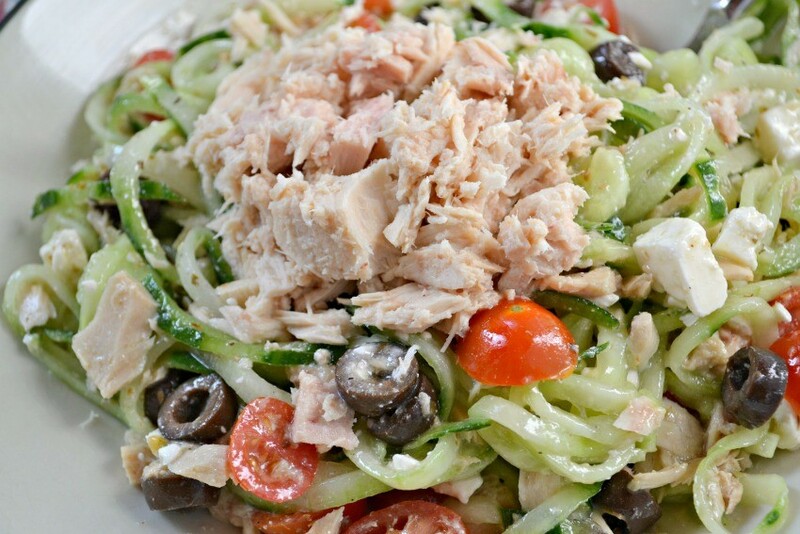 And to top it off with a good protein, like Bumble Bee® Solid White Albacore Tuna makes it even better. 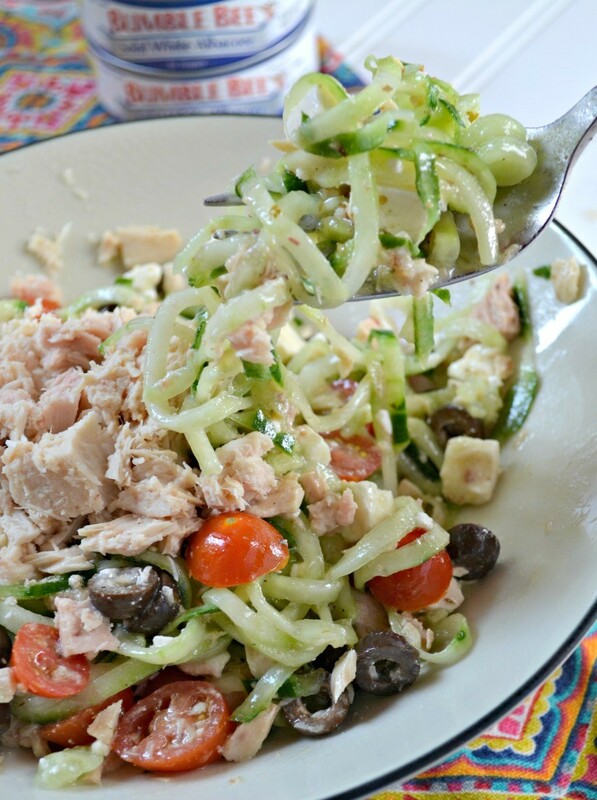 Today I wanted to share with you a super simple take on an easy lunch recipe with this Greek Cucumber Tuna Salad recipe. And now, when you think tuna salad…don’t think of it smothered with mayo, but instead mixed with fresh veggies and topped with a light Greek sauce and salt and pepper. 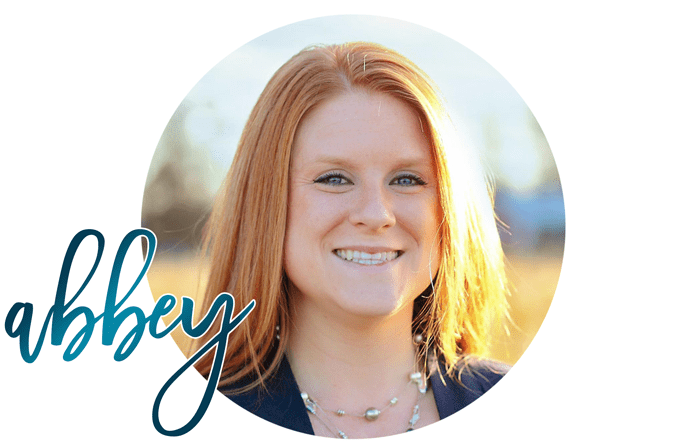 Even my husband gave it the man-stamp of approval– win in my book!! 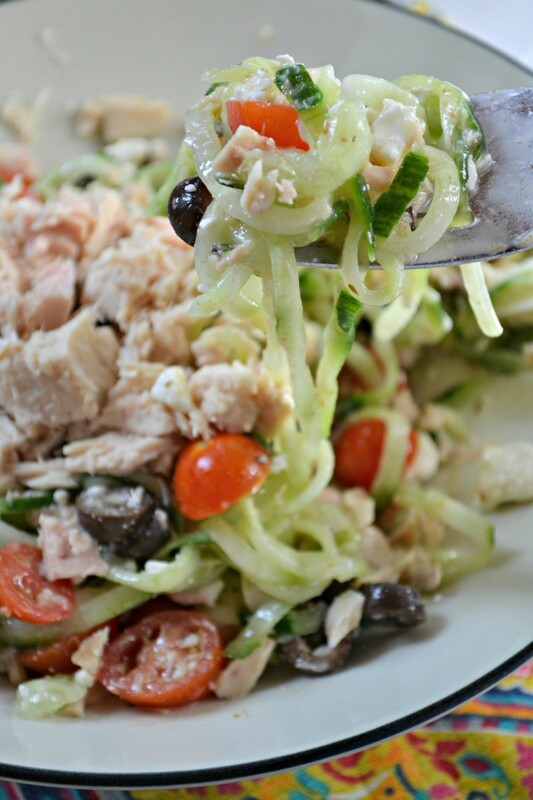 For this recipe I used Bumble Bee® Solid White Albacore Tuna. We like that it has quality you can see – the moment you open the can. 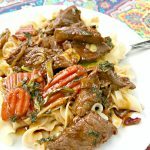 It has a great firm texture, light color and fresh taste and is the perfect ingredient to deliciously enhance almost any recipe. 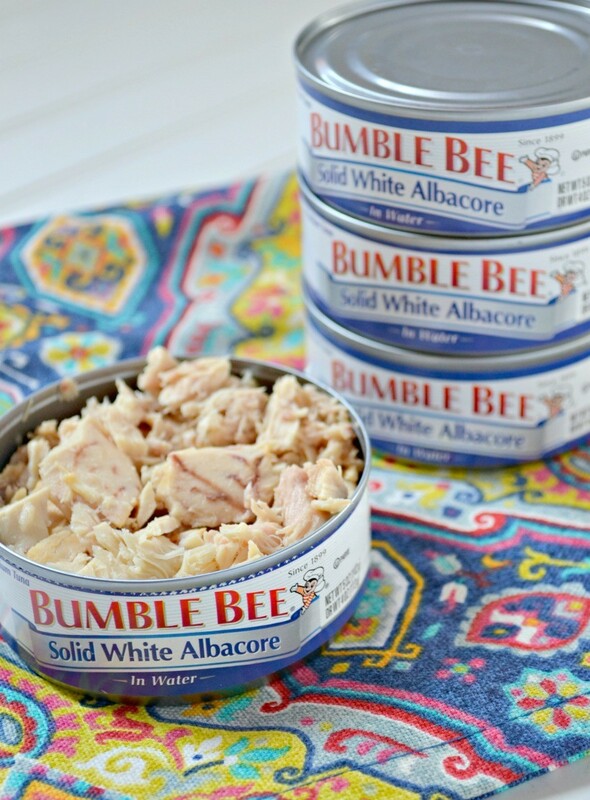 And some of you may be happy to know that Bumble Bee® Solid White Albacore is Non GMO Project Verified. 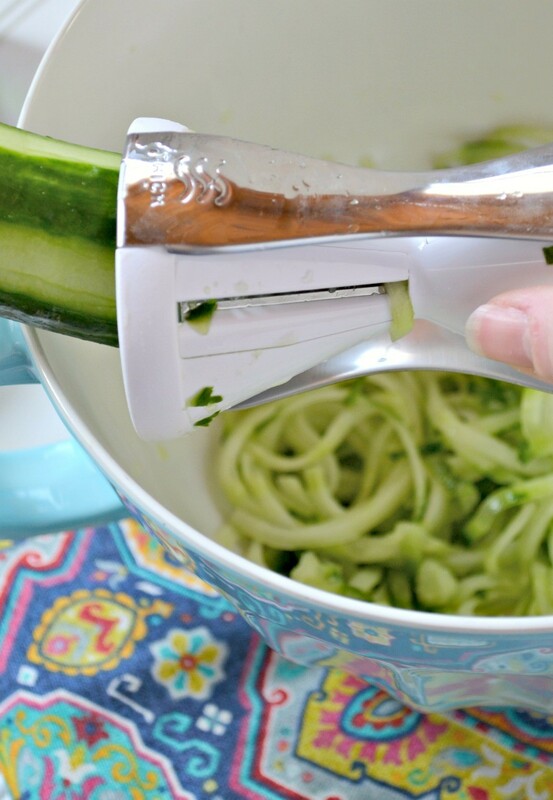 Start by spiraling your cucumber with a spiraling tool (very inexpensive). You’ll get about 2-3 cups of cucumber this way. I spiraled them thick cut. Next add your tomatoes, feta, and olives. Lastly, add your tuna on top. Add 1/2 cup of Greek dressing over top and mix gently. 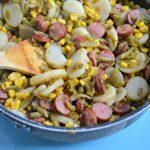 The whole thing takes about 15 minutes to make and could easily serve as a side dish for a family of four. This is something very simple to make and easily interchanged with different types of dressings and cheeses over top. My husband LOVED it and immediately asked if he could take it for lunch at work. 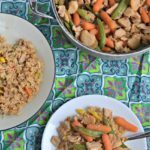 I love that it’s not only pretty and colorful, but super tasty and quick to make. 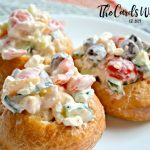 I can’t wait to make this again for spring cookouts and BBQ’s and encourage you to try this out ASAP and put your own personal touch on it! !